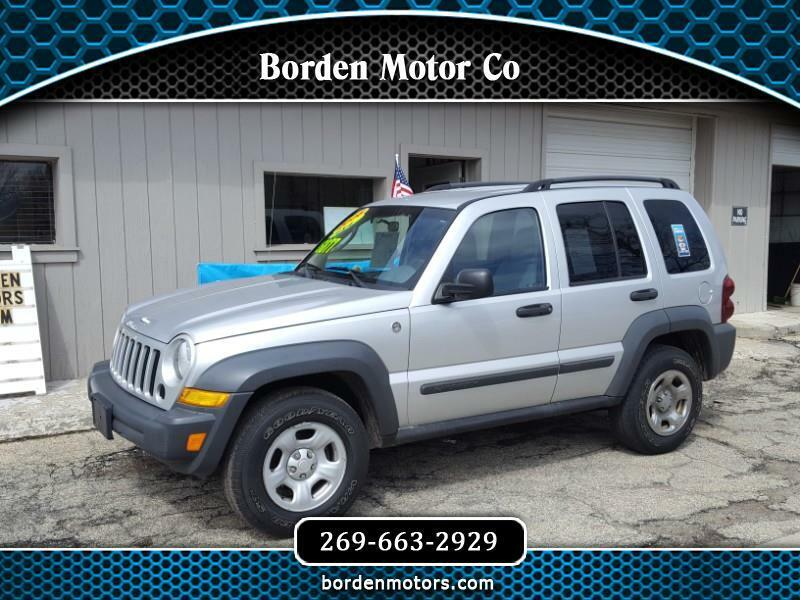 You definitely won't want to snooze and lose out on this great looking Jeep Liberty, so call today to schedule a test drive! This rugged 4 x 4 SUV would be the perfect daily driver, or possibly a great first vehicle for that new driver in the family. It has air conditioning, power windows and locks, power driver's seat, aluminum wheels, luggage rack, and a tow package, too. Plus, it has a clean Carfax report showing no accidents, and has been well maintained mechanically, with new brakes and exhaust last September. Best of all, it has under 100,000 miles and is priced at a ridiculously low $6,877! Visit Borden Motor Co online at bordenmotors.com to see more pictures of this vehicle or call us at 269-663-2929 today to schedule your test drive.